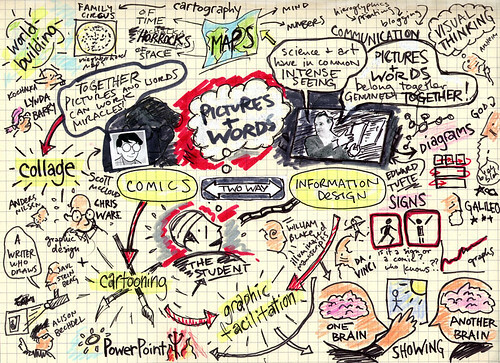 You are here: Blog / Notes on writing and drawing / COMICS & INFORMATION DESIGN, PT. 1: A TWO-WAY STREET? COMICS & INFORMATION DESIGN, PT. 1: A TWO-WAY STREET? What interests me is not the one-way relationship of comics informing information design, but the two-way relationship of comics informating info design, and info design informing comics. In other words, the way comics and information design can inform each other. Essentially, I see comics and information design attempting the same feat: one brain showing something to another brain. You might be interested int he work of XPLANE. I company that I used to work for that specialized in comics and almost entirely was staffed by people in the indie comic book industry.